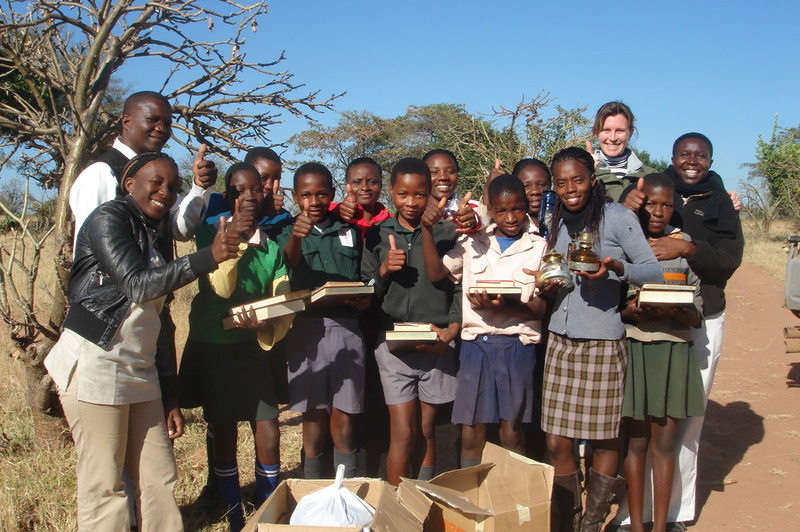 Jenman African Safaris and Hideaways are proud members of Pack for a Purpose, an initiative that allows travellers to give back to the communities they are visiting and make a lasting impact. By saving just a few kilos of space in their suitcase, they can bring much-needed school supplies and make a significant impact on the lives of local children and families. We support two schools through the Pack for a Purpose initiative, Dingani Primary School in Zimbabwe and Masongora Primary School in Uganda. HOW TO: Simply leave some extra space in your luggage (a good placeholder for any items you might purchase on your trip) and pack in some of the supplies listed below. Or during your trip these items can be purchased and handed to the guide who will ensure delivery to the relevant school. Dingani Primary School is a rural school in Zimbabwe, close to Hwange National Park and our Hideaways lodge Elephant’s Eye, Hwange. Our Foundation supports the school through initiatives such as Project Penya and Pack for a Purpose, as well as maintenance and conservation awareness projects. Dingani Primary’s final year pass rate is 23%, which is a great improvement from the 3% pass rate of 4 years ago. However, the school has set a target of a 50% pass rate for 2021 and we are dedicated to helping them reach this goal. Project Penya: In 2017 we successfully achieved our goal of supplying sets of washable sanitary pads to every Gr 6 and 7 girl at Dingani Primary. This ensures they don’t miss out on their schooling due to monthly menstruation which in turn empowers them for a better future. Project Penya will continue building on this success, providing educational and community workshops for all Grade 6 girls, and creating employment opportunities by upskilling members of the community to produce the washable sanitary pads locally. Please click here to see what supplies are needed. Masongora Primary School is situated in the hard-to-reach Masongora Parish, Kabende Sub County in Kabarole district near to Semuliki National Park in Uganda. The school has over 400 pupils, ranging from pre-school up to Grade 6, with only 11 teachers. In 2016 the President of Uganda visited the area and decided to rebuild the school to provide a concrete shelter for learning to take place. The school is in dire need of basic school and learning apparatus.